It's time to talk about formative assessment. I might write some things that you totally disagree with and that is okay, I am not 100% sold that grading practices are one size fits all. In fact, this next year my AP World History course and my course for English Learners are following two slightly different grading formats based on the pacing, content, skills, and needs of the students. Sometimes it makes sense for me to assess the two classes in slightly different ways. That being said, I am going to make one of my most controversial statements yet. So far, everything has been pretty straightforward, but now it's time to really question the way we've always done it. What no longer makes any sense to me is putting formative assessments in the grade book. When I give quizzes students find out their score immediately, they find out what they got right and what they got wrong and what the correct answer is but that score never goes in the grade book. I usually ask them to take note of what they missed, I sometimes have them chart their growth over time. Then I look at the data briefly for trends: is there something everyone got wrong? And I look at the data for outliers: Is Hermione well beyond this objective? Is Draco in need of assistance? And I use the info to figure out my next steps. Now, students could technically use their scores on a quiz as part of their evidence of learning in a reflective grading classroom but often my standards require so much more than memorization and the ability to recite facts without context that a quiz score alone is never enough to show mastery. But if I am grading based on standards and a quiz is a way to see where a student is at if a quiz is a snapshot of what they know, why would I put that score in the grade book? You might be yelling at the screen right now: IF I DO NOT GRADE IT THEY WON'T PREPARE FOR IT! IF I DO NOT GRADE IT, THEY WON'T TRY! Now, before you start cursing at me on twitter, I need you to know that I used to believe this. I heart and soul stood by this for two years. When I made the switch to a Standards-Based classroom this was one of the things I was certain would fail. But it didn't. Kids still tried. Kids still learned and I honestly think they learned more because no longer was I keeping quiz answers secret until every kid took the quiz, no longer was I unable to talk them through the quiz right then and there because they might tell the next class, no longer did I have to make 12 different versions on color-coded paper to prevent cheating. 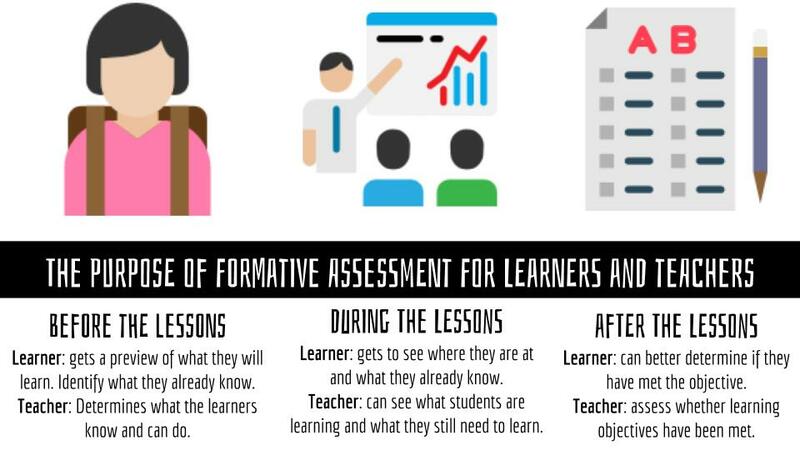 Now I know that formative assessments are not always the traditional quiz, whole books have been written on the many different ways we can approach formative assessment. But seeing as the quiz is one of the most common practices that we refer to as a formative assessment but still keeping putting in the grade book, it's going to act as my main example as to why you need to stop putting formative assessments in the grade book. Students stopped cheating on quizzes. I became better and faster at giving feedback on quizzes. Quizzes took on a whole new meaning for both me and the students. Why would you cheat on something that doesn't impact your grade? Cheating is all about students playing the game of school. They have figured out what they need to do to win the game (or at least pass the game) and they play the best they can. When points are assigned to everything they do, the points become the focus - not the learning. So when you take away points from something like a quiz, the conversation around it becomes about knowledge and learning not "Mrs. Byars, how many points do I need to score on this quiz to get have a B in the class?" Once it was not for a grade, the quiz was no longer on lockdown to prevent cheating. Once it was not for a grade, my focus became solely on that students need to know what they got right, what they got wrong, and why. I made a page on my favorite tools for formative assessment here but I want to focus on the two that are all about foundational content knowledge and vocabulary. Quizlet and Quizziz. Quizlet is a site that lets you make digital flashcard decks of terms and definitions. You can add visuals to each deck and you don't have to find or write out each definition. When you add a term, it will give you suggested definitions to pick from or you can write your own. There are also tons of pre-made decks and you can search for decks made only by other teachers. What makes it an amazing tool for formative assessment is you can see real-time data for all of your students for each term as they use Quizlet to learn and you can quickly turn any deck into a printable quiz or test in a variety of formats. 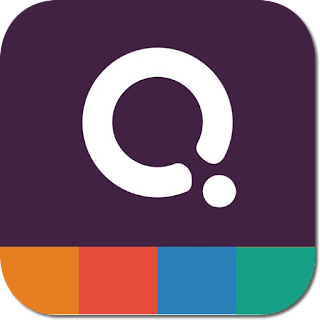 Quizizz is a digital quiz site. You can build quizzes in a variety of ways: you can search for pre-made quizzes, create your own from scratch, or do a mix of questions you created and searching for pre-made questions. You can assign the quizzes as Live (students all play at the same time) or as homework (students play at their own pace) but what makes it perfect for formative assessment is you can have it immediately tell students what they got right and what they got wrong and it can show them the correct answers. You can also turn off these settings but to me, the value of Quizizz is that I can see in real time how students are doing with content and students can see what they know and what they still need to learn. There is a lot more I could say about both of these tools and the process of getting feedback quickly and effectively to students but that is for another post. When you have a quiz every day in class but it is just so students and you can see where everyone is at, they take on a whole new meaning. What is the point of giving a quiz in class? What are you trying to determine? Why are you asking the students to do it? If your answer is "to see what they know and what they still need to learn" why would you assign a grade to it? This is practice. What is the point of grading practice? And if your answer is they will not try unless I put a grade on it, I wish I could find a way to convince you that you're wrong. 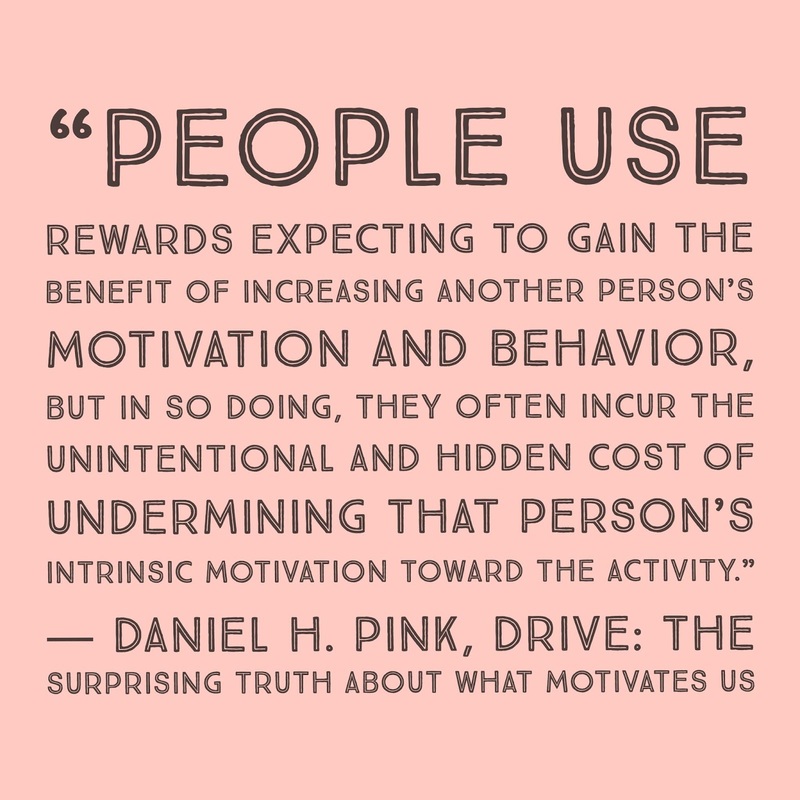 One of the books that gave me the courage to stop putting point values on practice was Drive by Daniel Pink. It was actually one of the first books I read before I even started considering changing grading practices. By making every activity, especially those activities that are about practicing or checking for understanding, a point value we make the class about points and not about learning. 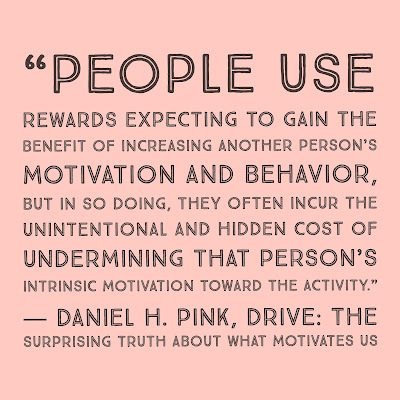 We undermine our own teaching when everything is worth points. 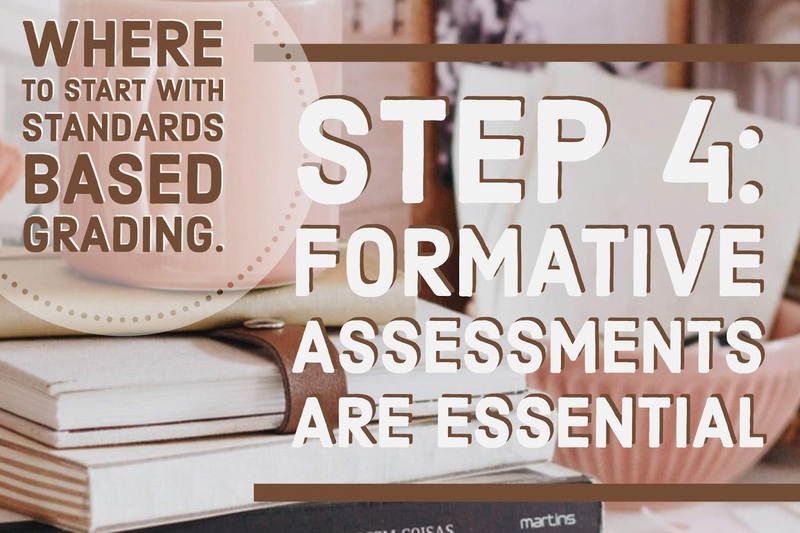 In order for a standards-based classroom to be successful, formative assessment needs to be a part of every day in your classroom. It can take on a variety of shapes: an exit ticket, a quiz, a quick-write but students must not be punished for getting it wrong and students must understand what the right answer is and why as soon as possible. If they don't. then they will struggle with knowing where they are at and where they still need to go. If you are new to this series you can see the first two posts here and here. You can also read about the challenges I have faced in implementing SBG in a non-SBG school. I'd love to hear your thoughts in the comments or on Twitter.